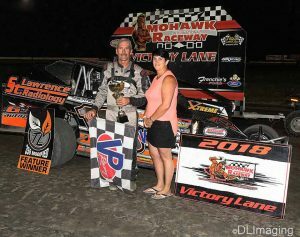 Story By: TIM BALTZ – HOGANSBURG, NY – OlsonFab and the great race fans at the Mohawk International Raceway were treated to some great racing this past Friday night as round 2 of the Unique eCigs Sportsman Series took over the headlines with nearly 40 drivers trying to make the show. Only 1 could win it and with a tough field with cars from both Airborne and Mohawk, the action was intense. Green lights came on to start the 2nd leg of the Unique eCigs Sportsman Series and Chris Cayea took the lead at the start of the 50 lap affair over Jamy Begor Ryan Stabler Shane Pecore and Zack Arquiett. The yellow would quickly come out as Delbert Legrow lost the motor heading into turn 1. His car was done for the night. When the green flew it was Airborne regular Chris Cayea taking the top spot again but Jamy Begor and Ryan Stabler were all over him and trying to get by for the top spot. Jamy Begor was the first to break free and pulled alongside Cayea on lap 6 in turn 2. 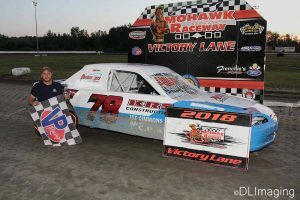 After a brief drag race down the backstretch Begor was solidly in front and Shane Pecore also was on the charge taking Stabler and Cayea 3 wide to pick up 2nd while Brianna Ladouceur had a great view of the battle from 5th. Begor had started to run away and hide from the field by lap 11 but Pecore was quickly closing in with Stabler Cayea and Arquiett completing the top 5. On lap 19 Shane Pecore was able to take over the lead using the bottom lane in traffic as Begor tried to maintain pace. Once in front Pecore put his race car on auto pilot and began to open up a big lead even through traffic. On lap 22 the big lead went away as last week’s winner Chris Frennier slowed to a stop in turn 4. When the green flew it was Pecore once again jumping out to a commanding lead but the real battle was between Begor Stabler and Brianna Ladouceur. These 3 driver put on a great show for the fans over the next 10 laps with neither driver able to gain an edge. Stabler and Begor were able to break away and have their own war for 2nd but time was running out to catch the leader. With 10 to go Pecore was firmly in control over Stabler, Begor, Ladouceur and Johnathon Ferguson who charged from 11th to complete the top 5 drivers after a great battle with Mike Stacey. 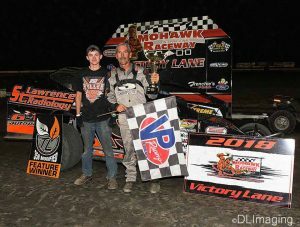 In the end Shane Pecore had the dominant car and would march to his first series win of the year and first of the season at Mohawk in the Crossroads Tobacco Sportsman. Ryan Stabler would win the battle for 2nd over Jamy Begor, Brianna Ladouceur and Johnathon Ferguson. 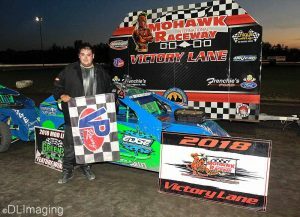 In Twin Leaf Convenience 358 Modified action John Mulder took the lead at the drop of the green flag in the 30 lap feature over Louie Jackson Jr., Matt Woodruff, Lee Ladouceur and Chris Raabe. Mulder had a fast race car in the early laps and seemed untouchable early on as he led the opening 9 laps. The first yellow would fly on lap 9 for George Foley who slowed on the back stretch. The next restart is where things took a bad turn as coming off turn 2 Carey Terrance slipped up causing Tim Fuller to run into him setting off a chain reaction behind them. 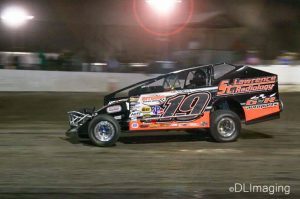 Brian McDonald had no place to go and ended up clipping a wheel and barrel rolling several times down the back stretch landing near the end of the back stretch wall and collecting Jeff Sykes in the process. The race was red flagged but after the hard hit, McDonald would get out under his own power and walk to the ambulance. Sykes suffered heavy damage to his car and was towed to the pits. When the green flew it was Mulder once again in control over Ladouceur, Jackson, Raabe and Fuller and it appeared John Mulder was going to march away from the field with no problem. On lap 13 the caution would fly for Lance Willix as he slowed in turn 4. When the green flew again Chris Raabe knew that it was tie to get going as he charged from 4th to 2nd on lap 15 and then set sail after the race leader. Using the bottom off turn 4 Raabe was able to take the lead from Mulder While TIm Fuller made the jump to the 3rd spot and was not done going forward. Fuller would then charge by Mulder for 2nd down the back stretch and was in pursuit of Raabe. On lap 17 the night got worse for Willix as he slowed to a stop on the backstretch ending his night. When the green flew Raabe stayed in the lead but Tim Fuller was right there to challenge. With 12 laps remaining Fuller made the charge around the outside lane to take over the top spot and begin to put on a driving clinic as he pulled away with no problem over Raabe, Jackson Ladouceur and Carey Terrance. Over the remaining laps it was all Tim Fuller as he cruised to his 5th win of the year keeping the strangle that him and Chris Raabe have on victory lane. Chris Raabe crossed in 2nd with Louie Jackson Jr., Lee Ladouceur and Carey Terrance completing the top 5. 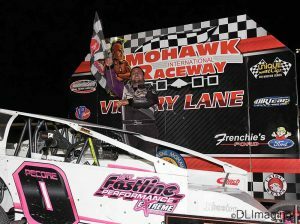 The Green’s Performance Mod Lites were ready for a 15 lap contest as Brendan Villnave and Scott Sharpe paced the field to green but it would be Brad Reif leading the way early on over Dan Reif, Nick Mallette, Deric Ellsworth and Jason Premo. The opening day winner had a good look in the opening 3 laps but Dan Reif decided it was his time to take over and did so on lap 4 with Brad Reif falling to 2nd over Mallette, Ellsworth and Premo. Once in front the only driver to win twice in 2018 started to open up a big lead on the rest of the field as the battle behind him carried on. Defending track champion Nick Mallette took over 2nd just past halfway but still had a long way to go to catch the leader. 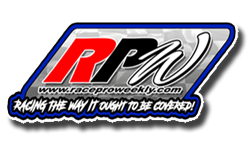 With 5 to go Dan Reif continued to draw away even farther as Nick Mallette, Brad Reif, Deric Ellsworth and Styles Arquiett completed the top 5. 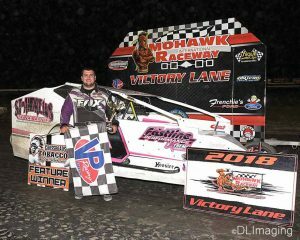 Without the assistance of a caution flag nobody was catching Dan Reif as he stormed to his 3rd win of the season and 2nd in the last 3 weeks. Nick Mallette would follow across in 2nd with Brad Reif 3rd, Styles Arquiett charged to 4th at the line with Deric Ellsworth taking the final spot in the top 5. Novice Sportsman had another solid field and Joshua Pete would take over the lead at the drop of the green flag from outside pole sitter Xavier Perrin with Brian McGinnley, Eugene Tarbell and Dale Gonyo giving chase. Joshua Pete has had a few good runs but on this night it was his best of the year as he pulled away to a comfortable lead but 2 time winner Jason Rose had some other plans for the evening and it didn’t involve running 2nd. Rose, who started 6th, charged to 3rd by lap 8 and was on the charge to the front as he took over the 2nd spot from Dale Gonyo. By lap 11 Jason Rose was all over Joshua Pete and looking for the race lead. With 2 laps to go Pete made one slip in turn 2 and gave Jason Rose the bottom lane to get by as they raced down the backstretch. On the final lap Jason Rose made 4 clean turns and after a flat tire that cost him a win last week, it was redemption time as he put it in the winner’s circle for a 3rd time. Joshua Pete took his car to a career best 2nd place effort over Dale Gonyo, Brian McGinnley and Rico Hernandez who started 13th and ran to 5th at the finish. In the 10 lap Bandit feature Shane Ray jumped into the lead from his 3rd starting spot on the grid over Mike Pecore and Nick Perham. 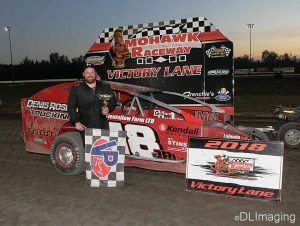 It had been a very up and down kind of season for the 2015 track champion but on this night his car was fast and looked to be the man to beat as Pecore and Perham would fight it out the entire 10 lap distance for 2nd. 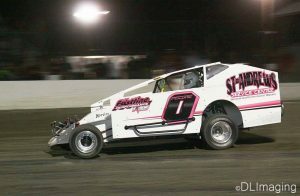 In the closing laps RJ Tressider would make a late charge to the top 3 but his shot at victory was slowly running out. 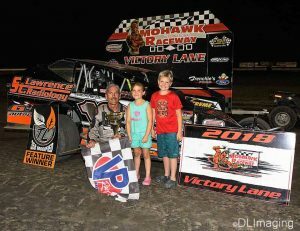 In the end Shane Ray would finally get to victory lane for the first time since September 1st of last season in the Bandit division and keeping a string of winning at least 1 feature in each of his last 3 seasons. Next week long time sponsor Lazore’s Construction will be on hand as the evening sponsor as all 5 divisions are back on the card for some exciting racing action. The popular kids tire race will take place as well. 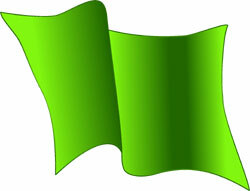 Racing action begins as the first green flag drops at 7:30pm. 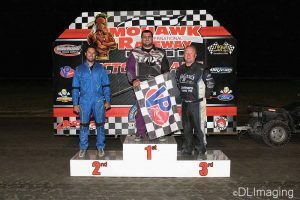 For more information on points, results and the latest news at the speedway, check out mohawkintlraceway.com or follow us on Facebook and Twitter.